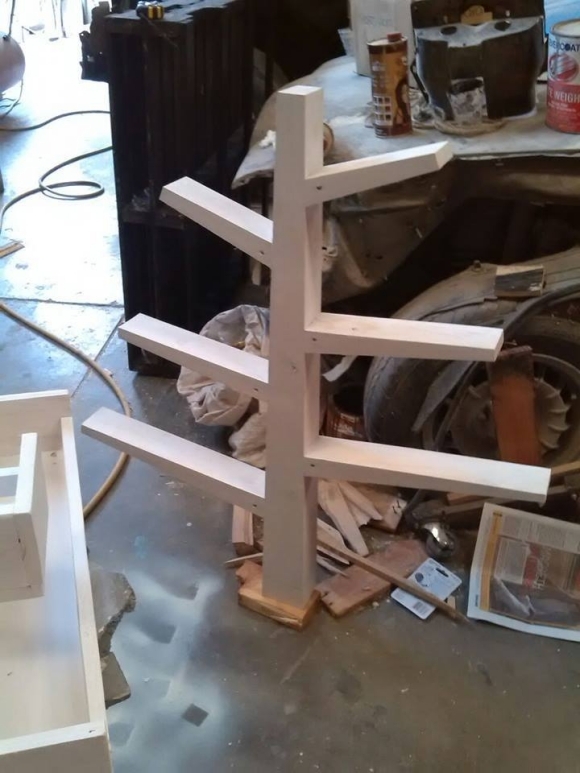 A DIY pallet made tree shelve, sounds interesting right? What do you conceive from the title exactly? 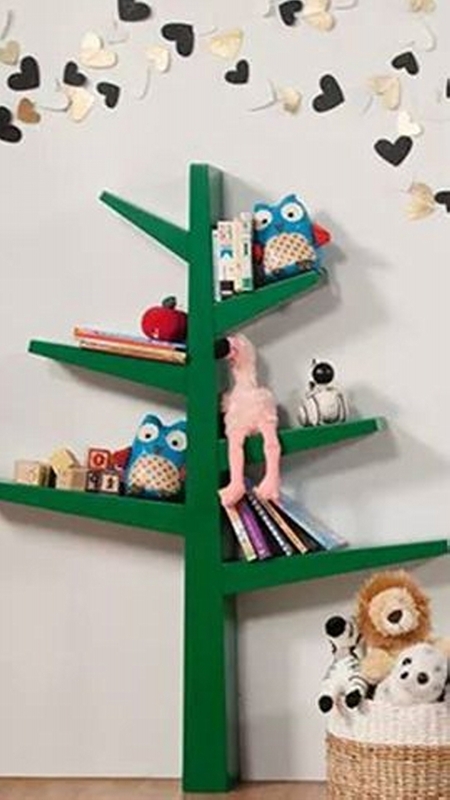 Well, basically this would be a slim and straight wooden pallet shelf that would resemble a tree with extended branches. We would be giving brief instructions just to give you some basic idea, so just get prepared along with your tools in your workshop. Arrange some fresh pallets as we would be placing the shelf right in the middle of the room, so the deteriorated pallets might harm the view of your room interior. And other than mere pallets you simply need nothing as the basic material. 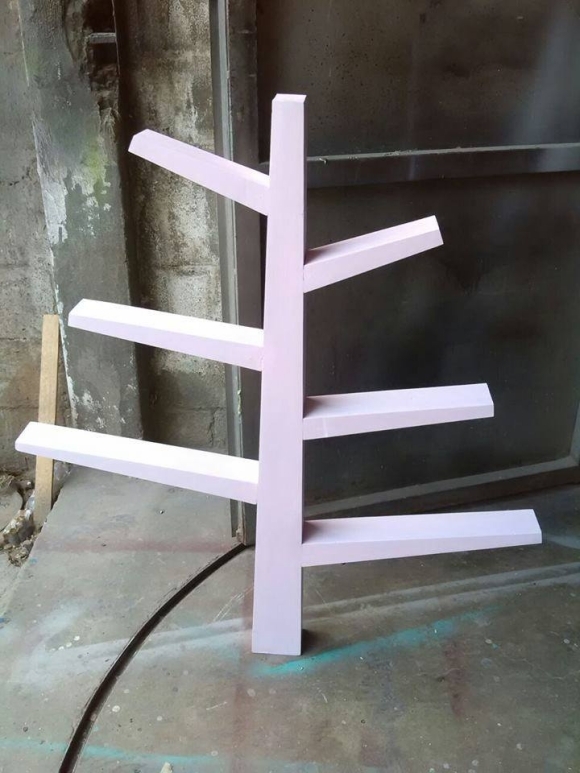 Once you are done with all the required things, first of all prepare a centre wood pallet plank that would be the base of this wooden pallet shelf. This quite straight and slim pallet planks should be sanded in such a way that it should be declining as we move upward, its declining pattern would add much charm to the final product. We have to prepare the declining pattern first with the saw, and then with very detailed sanding so the texture is smoothened up very well. After you are done with it, now comes the phase of making the branches. Branches have to be made on the same pattern that is the declining pattern. The size of various branches should be different just to give a rough and natural look. And while fixing the branches to the base that we prepared earlier, the branches should be fixed randomly, no equal sequence should be maintained again to maintain the rough look. Some branches should be fixed heading upward, some downward, and some should be pretty horizontal. This was the brief description, the way forward for this DIY pallets made tree shelf. Its different style and shape would be a real charmer.